With the release of the 39th edition of The Car Book—now available online—we’re sharing some of our best tips for car buying and maintaining your vehicle after you buy. The Car Book 2019 provides today’s car buyer with in-depth ratings of the 2019 vehicles, The Car Book’s unique crash test ratings, comparative complaint ratings, and all of the information needed to make a smart, safe and informed vehicle purchase. For online users only, the site also includes over 1,000 used car ratings going back five years. There are a number of factors that determine what coverage will cost you. A car’s design can affect both the chances and severity of an accident. For example, a well-designed bumper, which few cars have, may escape damage in a low-speed crash. Some cars are easier to repair than others or may have less expensive parts. Cars with four doors tend to be damaged less than cars with two doors. In this post, we’ll go over the basics on how to ensure that your insurance costs are as low as possible. Shop Around: You can save hundreds of dollars by shopping around for insurance. Your Annual Mileage: The more you drive, the more your vehicle will be “exposed” to a potential accident. Driving less than 5,000 to 7,500 miles per year often gets a discount. Ask your insurer if they offer this option. Where You Drive and Park: If you regularly drive and park in the city, you will most likely pay more than if you drive in rural areas. You may get a discount if you garage your car. Youthful Drivers: Usually the highest premiums are paid by male drivers under the age of 25. Whether or not the under-25-year-old male is married also affects insurance rates. (Married males pay less.) As the driver gets older, and if he or she has good driving record, rates are lowered. Driver Education/Defensive Driving Courses: Discounts for completing a state- approved driver education course can mean a $40 reduction in the cost of coverage. Discounts of 5 to 15 percent are available in some states to those who complete a defensive driving course. Good Student Discounts of up to 25 percent for full-time high school or college students who are in the upper 20 percent of their class, on the dean’s list, or have a B or better grade point average. Mature Driver Credit: Drivers ages 50 and older may qualify for up to a 10 percent discount or a lower price bracket. Sole Female Driver: Some companies offer discounts of 10 percent for females, ages 30 to 64, who are the only driver in a household. Non-Drinkers and NonSmokers: A few companies offer incentives ranging from 10–25 percent to those who abstain. Farmer Discounts: Many companies offer farmers either a 10 to 30 percent discount or a lower price bracket. Car Pooling: Commuters sharing driving may qualify for discounts of 5 to 25 percent or a lower price bracket. Children away at school don’t drive the family car very often, so if they’re on your policy and they’re at school, let your company know. If you insure them separately, discounts of 10–40 percent or a lower price bracket are available. Desirable Cars: Premiums are usually much higher for cars that are the favorite target of thieves. Anti-Theft Device Credits: Discounts of 5-15 percent are offered in some states for cars equipped with a hood lock and an alarm or a disabling device (active or passive) that prevents the car from being started without a key. 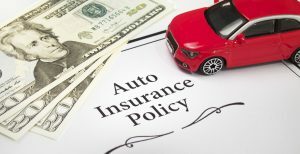 Multi-policy and Multicar Policy Discount: Some companies offer discounts of up to 10–20 percent for insuring your home and auto with the same company, or more than one car. First Accident Allowance: Some insurers offer a “first accident allowance,” which guarantees that if a customer achieves a certain number of accident-free years, his or her rates won’t go up after the first at-fault accident. Deductibles: Opting for the largest deductible you’re comfortable with will reduce your premiums. Increasing your deductible to $500 from $200 could cut your collision premium about 20 percent. Raising the deductible to $1,000 from $200 could lower your premium about 45 percent. The discounts may vary by company. Collision Coverage: The older the car, the less the need for collision insurance. Consider dropping collision insurance entirely on an older car. Regardless of how much coverage you carry, the insurance company will only pay up to the car’s “book value.” For example, if your car requires $1,000 in repairs, but its “book value” is only $500, the insurance company is required to pay only $500. Organizations: If you are a member of AARP, AAA, the military, a union, a professional group, an alumni association, or similar organization, you may be able to get lower cost insurance or a discount. If you haven’t already, be sure to join the Center for Auto Safety to get a full year’s access to TheCarBook.com or get your paper copy of The Car Book 2019. Come back to The Car Book Blog soon for even more insightful car buying information. Read More from The Car Book Blog.